All our pups have been placed. We hope to have another litter available in early 2018. 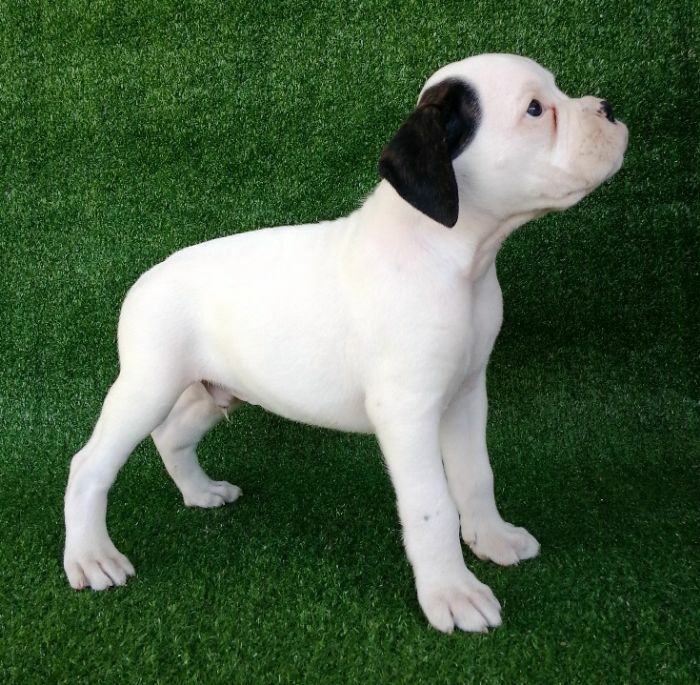 Please email us to obtain a full Buyers Prospectus which will explain our breeding ethos, what your next steps should be in order to obtain an Alcance Puppy. (as per suggested question list towards bottom of this page). The information you share with us is confidential & is essential to our placement process. Please note all pups have been placed. 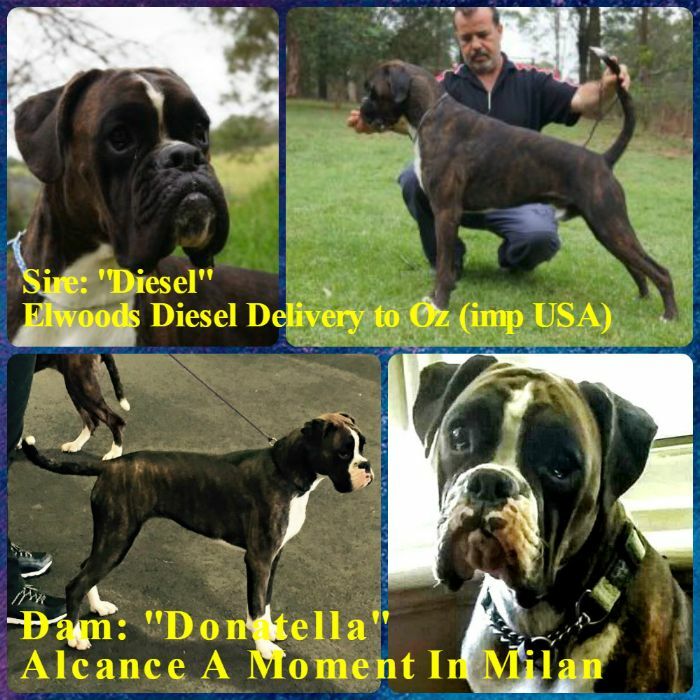 Sire - Elwoods Diesel Delivery to Oz (imp USA) "DIESEL"
bring together a MASS of strong European Working Champions to their offspring! 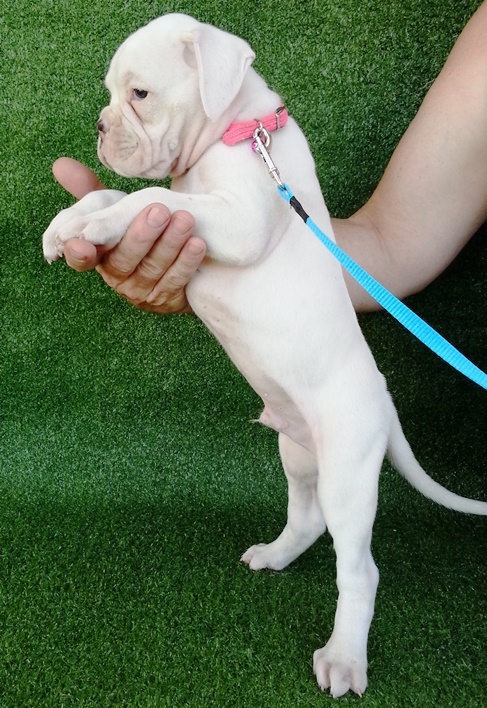 Many Thanks to Sam and Sina Castiglione of CASQUEEN BOXERS for allowing us to use Diesel. NO TYRE KICKERS PLEASE! We do not sell like a pet shop and will never make pressure placements. We take ultimate care to ensure our babies go to the best possible homes and that they are well suited to their new families. 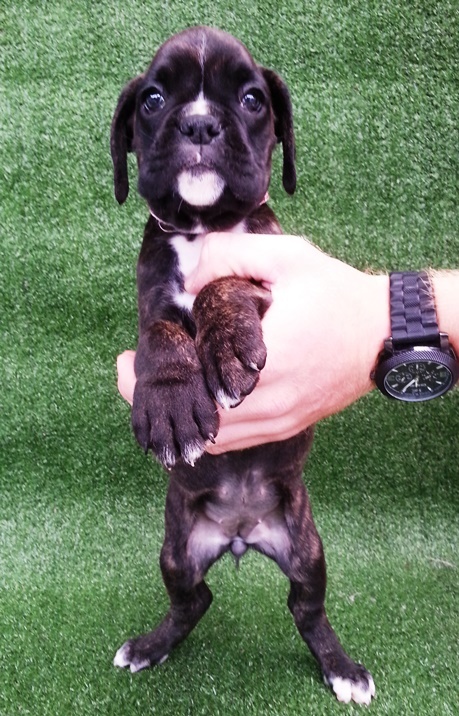 We're serious about our breeding, our boxers & what we look for in owners. Be Assured that when own an ALCANCE boxer, you'll be very pleased with our 24/7 post purchase support & knowledge. 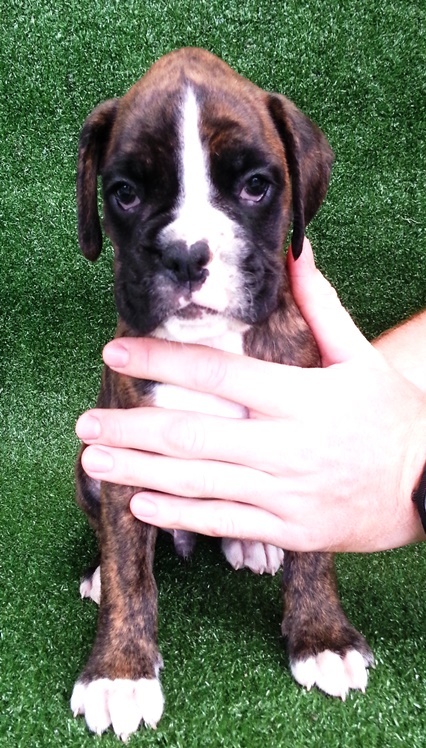 OUR HIGHEST PRIORITY WHEN PLACING PUPS is ensuring a quality boxer pup joins your family forever; This is our goal! 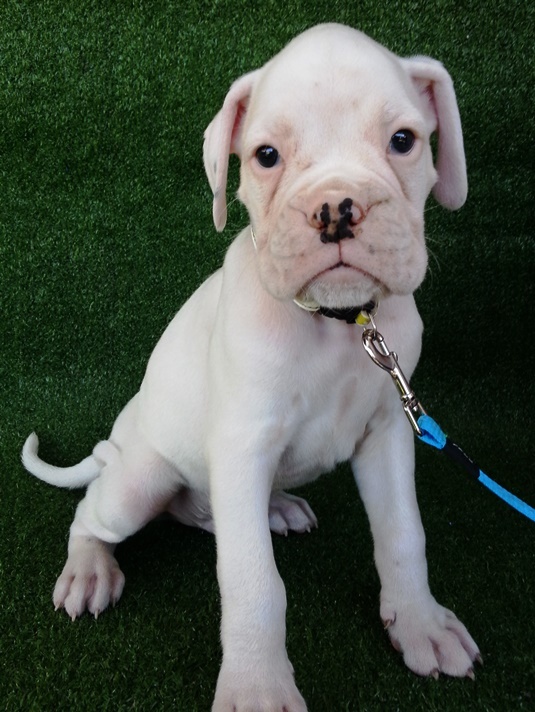 FULL INFO regarding Our breeding focus, Pup Prices, our comprehensive Health Testing program, Free 6 weeks Pet Insurance, our Sales Process & Guarantees are included in the "ALCANCE PUPPY PROSPECTUS" that you'll receive when you email us to express your serious interest in becoming an Alcance Alumni. Please see below info for main inclusions. TRUST US - It'll be TOTAL BOXER LOVE AWESOMENESS!!! 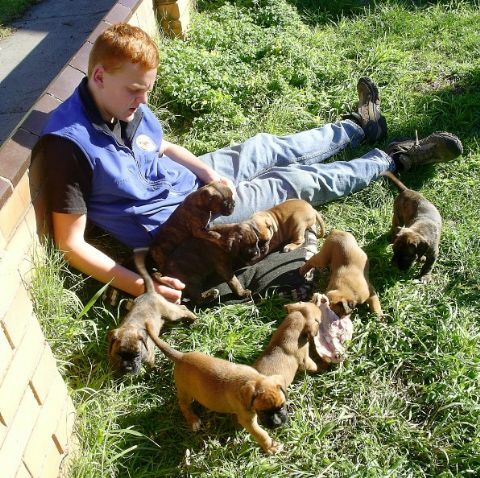 Alcance pups are ready to go home between 8 & 12 weeks of age. They are pre-socialised and will be the star of puppy pre-school too. Fully wormed & Flea Free! Puppy's favourite Toy & Blanket - scented like home! Facebook membership to the Secret Littermates Page! 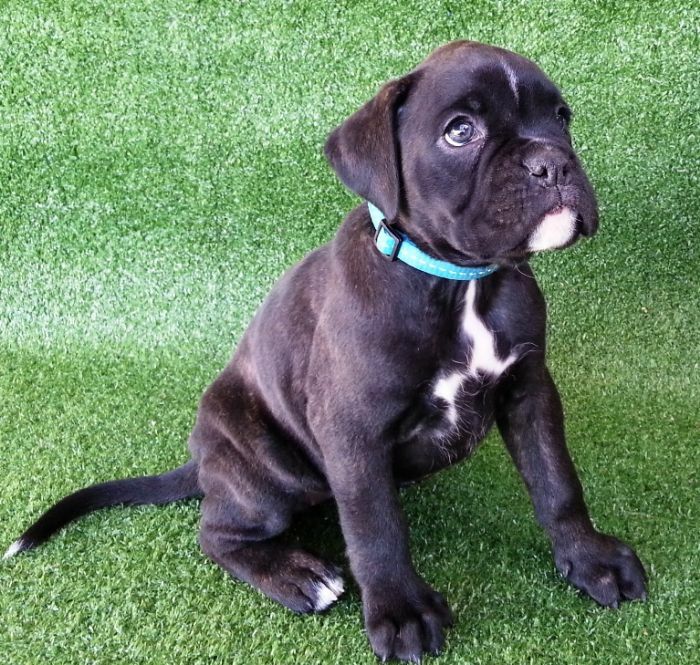 Interested in having an ALCANCE Boxer as part of your life? Great! 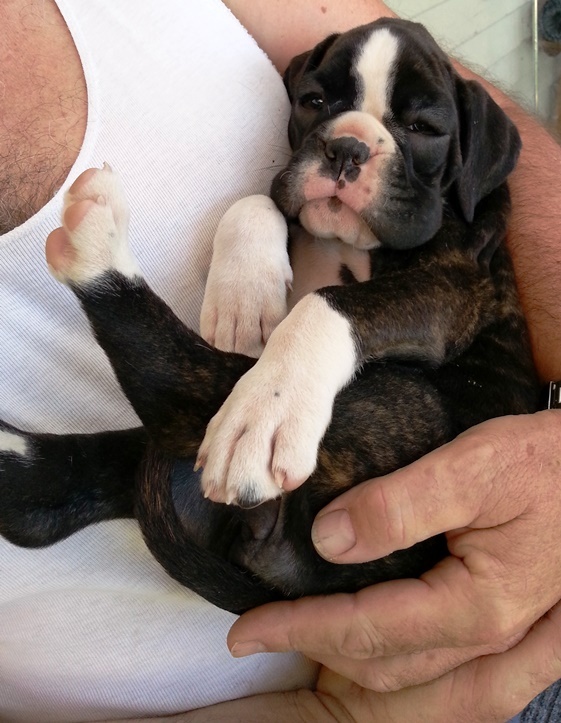 Want to express your interest in being owned by an ALCANCE Boxer? Excellent! 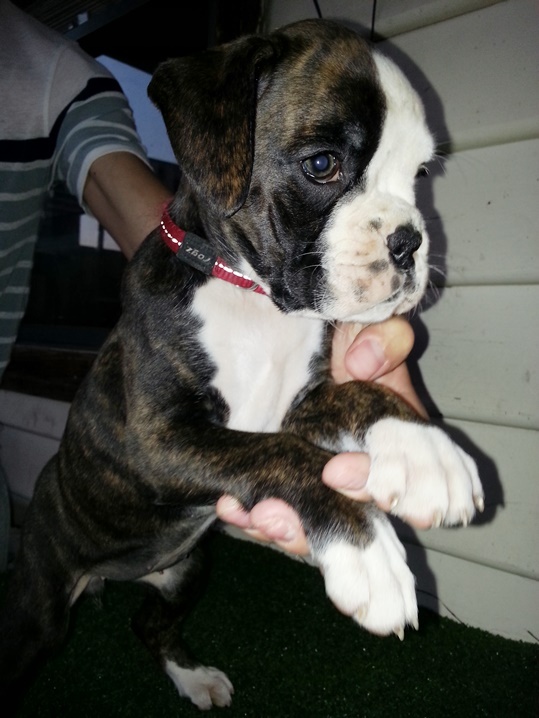 What interests you about the boxer breed? What would an ALCANCE Boxer find interesting about you? When are you hoping to start sharing your life with a Boxer? What state and town do you live in? How many members are in your (human & or canine) pack currently? How old are they & do they like boxers too? 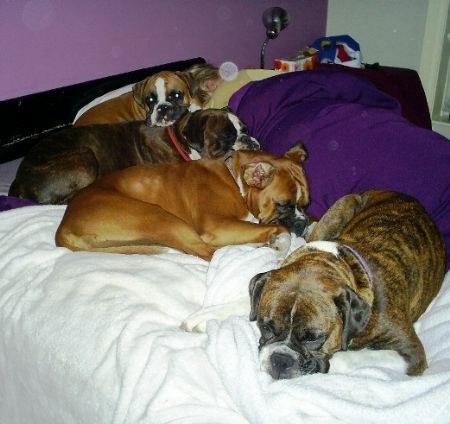 What dog sports or activities are you thinking of doing with your boxer? How much time will you dedicate to training and socialising your new companion? Have you considered crate training? 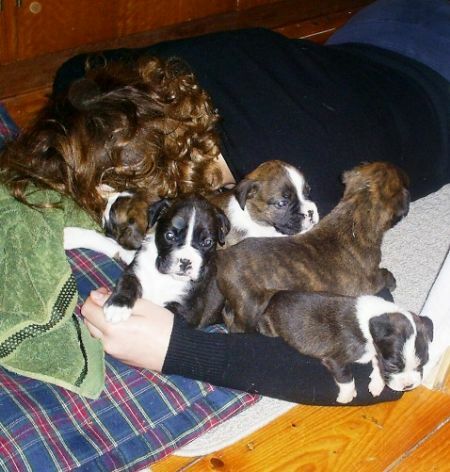 Of course, our whole pack - humans & dogs alike - are happiest when we meet you before you meet the pups. So please - plan your visit to “Talk boxer”! No need to stress if you happen to live interstate, though! Just plan a long phone call instead! We ship pups within Australia, so even if you live in Port Headland or Port Sorrell, you could still be a perfect match for an Alcance Boxer! Just don't be fooled by all that chaos! 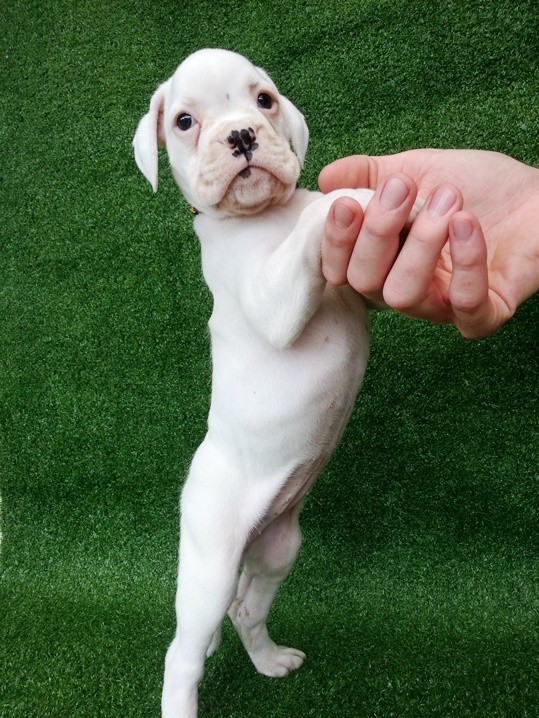 We're serious when it comes to ensuring that our boxer pups are healthy, happy, socialised & ready for the right family! *All Alcance Boxers are purebred. We do not carry the "Natural Bobtail" gene in our lines. @ ALCANCE BOXERS.... always for the love of the breed!! !